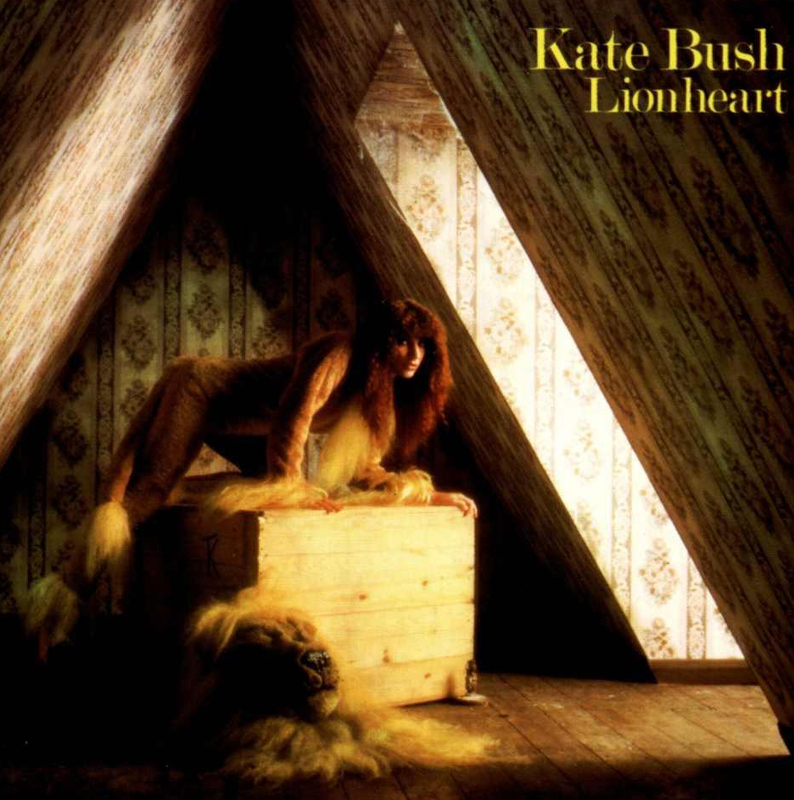 'Lionheart' is Kate Bush's second album, released by EMI Records on 10 November 1978. Like The Kick Inside before it, the album was produced by Andrew Powell. The album was recorded between July and September 1978, with all the songs written and composed by Kate. The album was originally released on LP and tape. The first editions of the LP were released with a gatefold sleeve, featuring the lyrics on the inner two sides. (These were later printed on the inner sleeve of the album). On 21 September 1985, 'Lionheart' was released on CD in Japan, followed by a CD release in Europe a few years later. The album was also included in the This Woman's Work box set, and in 2005, a so-called 'mini LP replica' version was released on CD in Japan. Maybe I'm a bit too close to it at the moment, but I find it much more adventurous than the last one. I'm much more happier with the songs and the arrangements and the backing tracks. I was getting a bit worried about labels from that last album; everything being in the high register, everything being soft, and airy-fairy. That was great for the time but it's not really what I want to do now, or what I want to do, say, in the next year. I guess I want to get basically heavier in the sound sense... and I think that's on the way, which makes me really happy.